BigQuery is Google's fully managed, petabyte-scale, low-cost enterprise data warehouse for analytics. It’s also serverless. There is no infrastructure to manage so you don't need a database administrator, which means you can focus on analyzing data and finding meaningful insights using familiar SQL. 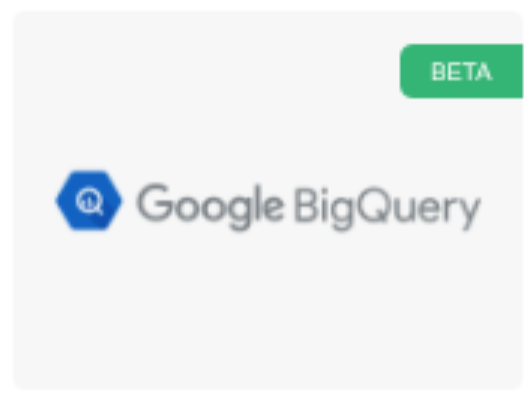 BigQuery is a powerful Big Data analytics platform used by all types of organizations, from startups to Fortune 500 companies. 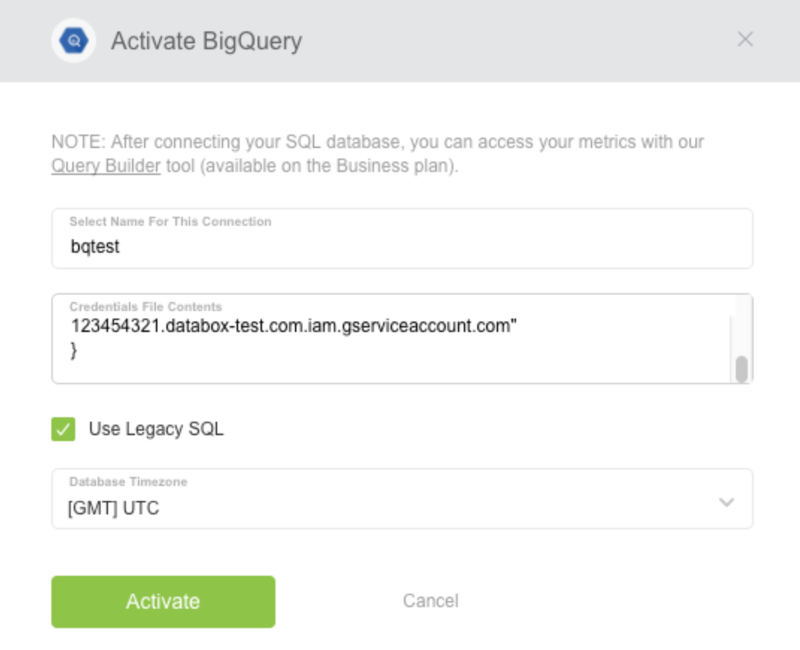 In this article, we will first configure and run a query on a sample BigQuery database. Next, we’ll configure a JSON credentials file and connect to it remotely. Finally, we will visualize the data using Databox. The end result will be a databoard displaying the data from BigQuery. 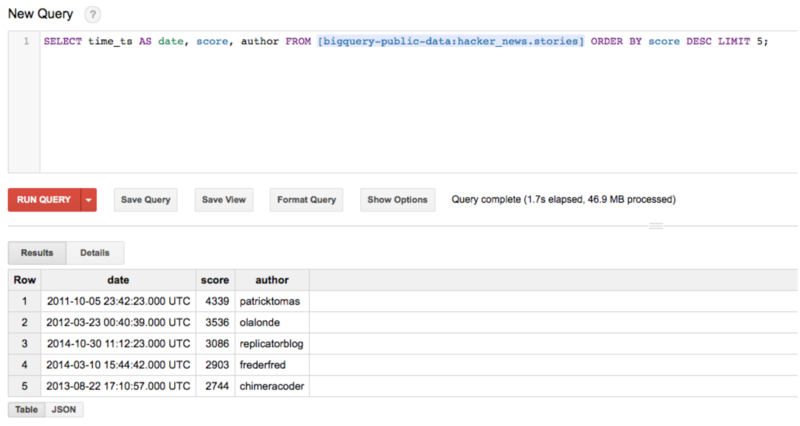 We’ll expand the BigQuery-public-data and choose the Hacker_news database. The ultimate goal is to visualize this data in Databox. As mentioned earlier, Databox will connect to this database remotely. 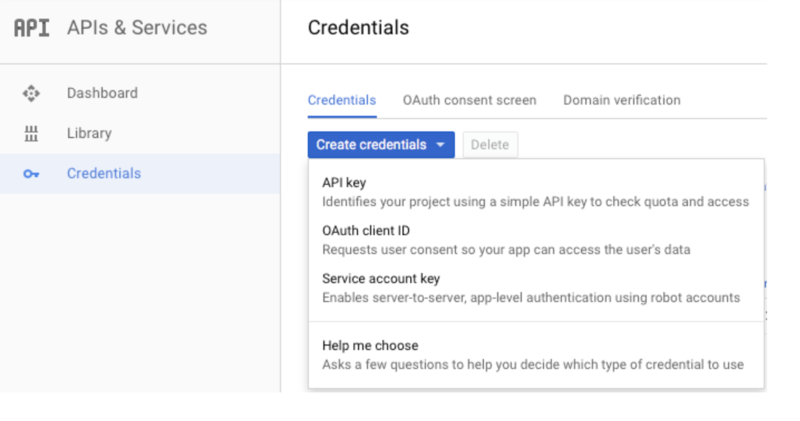 So, we need to setup the proper credentials file in order to connect to BigQuery from Databox. 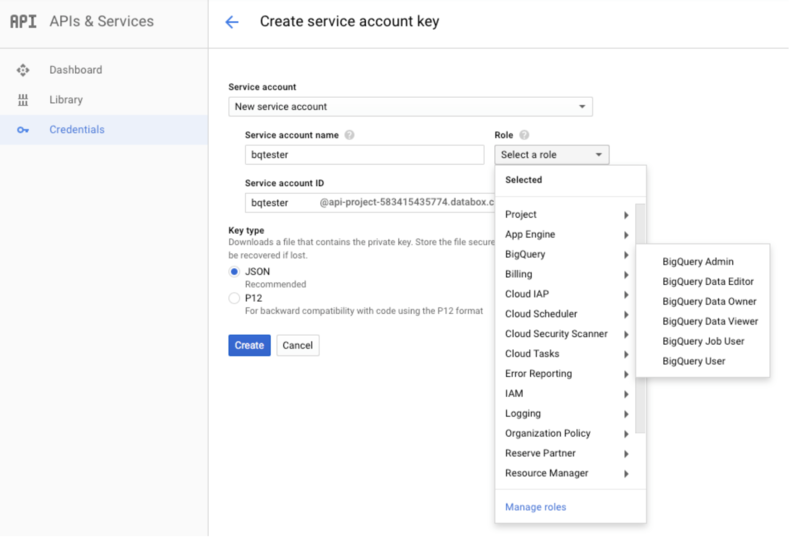 Enter the appropriate fields and choose an appropriate role for this user BigQuery User allows a user to run queries). Then click “Create.” The credentials file will be downloaded as a JSON file Save this for later. We’ill use it when connecting Databox to BigQuery. We have now run a test query and created a credentials file to use inside Databox. This will allow us to connect to BigQuery. In the next step, we’ll be moving over to Databox to establish the connection. First, log in to the Databox app at https://app.databox.com. Navigate to the ‘Data Manager’ menu item, then select the “+New connection” button. Filter this next screen by typing “BigQuery” in the Search box on the righthand side. 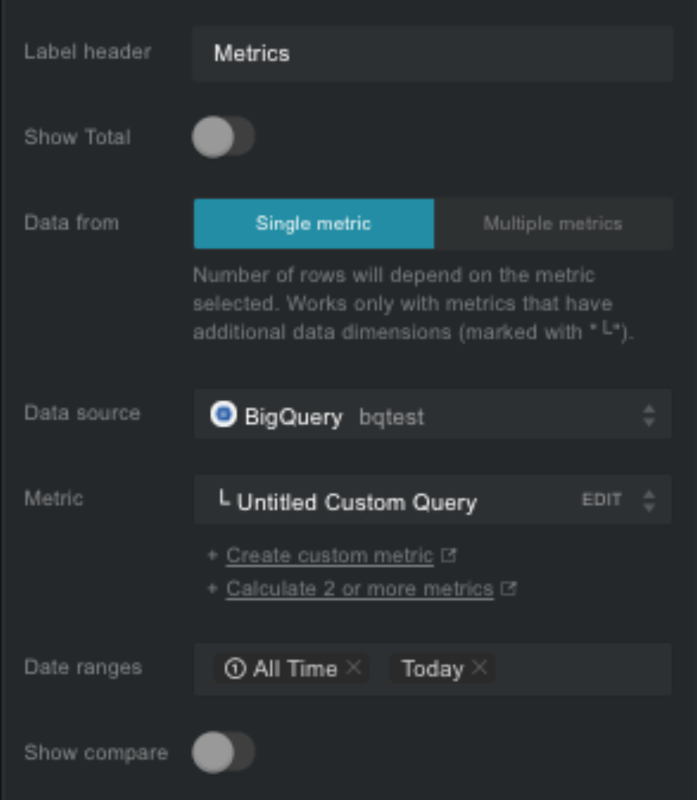 The BigQuery connector will now filter to the top. Enter the arbitrary name for this connection and paste the JSON credential file contents. We’ll be using the Legacy SQL syntax, so leave the checkmark selected. Click “Activate.”If all went well, you should see the message “Successfully connected” after a few seconds... If that doesn’t happen, check the troubleshooting notes at the bottom of this article. If all fails, contact support, so we can debug the issue. Otherwise, we’re ready to test a simple query. 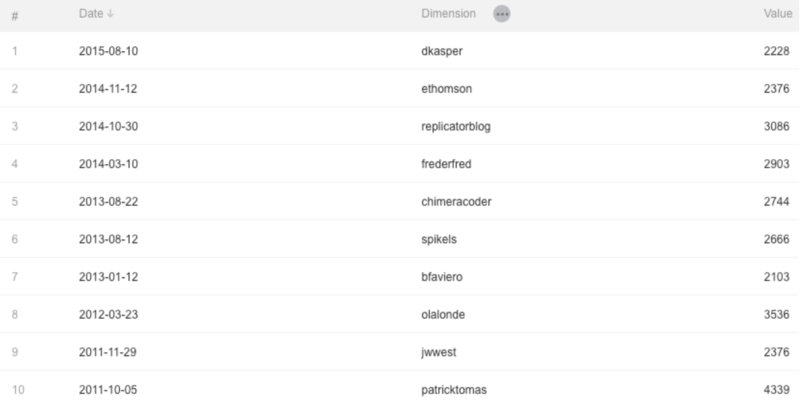 In Databox, navigate to the Data Manager and select the Query Builder submenu item., click the “+New Query” button. Click “Run query” and the results should appear at the bottom of the screen in the Data Preview section. Great! You have now validated the connection. 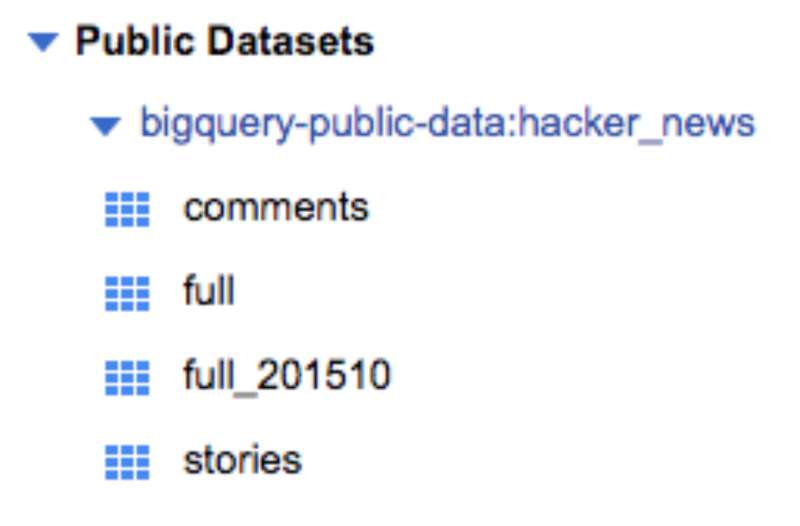 Databox has successfully pulled the data from our BigQuery database. Once we save the custom query, data will be fetched regularly (either once an hour or daily depending on your subscription package). In the last step we will visualize the data using the Designer. Let’s go to the Databoards menu item in the app. You can either choose an existing databoard or create a new one. On the lefthand side, click on the “Visualization Type” icon. We will display our data in a tabular format. Drag & drop the Table block onto your databoard. Go ahead and explore further. 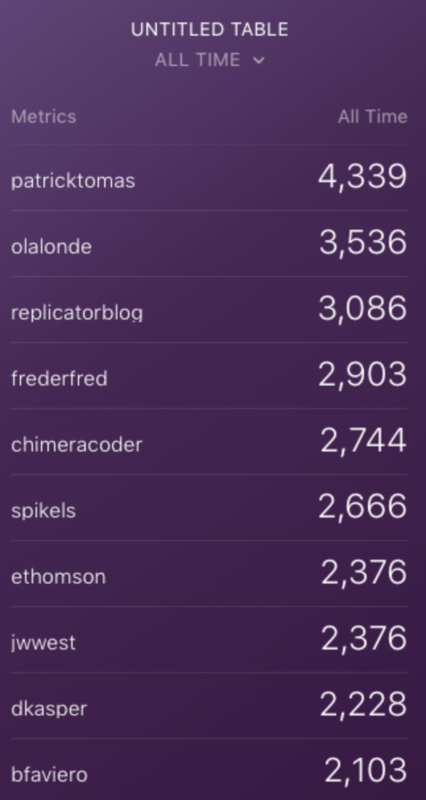 Add more custom queries, create new datablocks, play around with different types of visualizations.... Make the perfect databoard that you always needed but didn't know how to create. Now you can! Ready to try it for yourself? Signup for free today at https://databox.com/signup. Make sure all data entered is correct and the roles are correctly set.